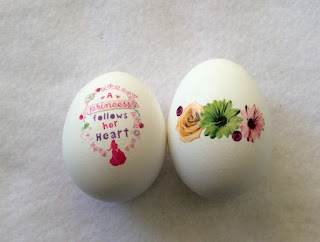 I didn't grow up celebrating Easter (religious or non-religious way) so I don't have to follow any tradition. I create my own tradition-our tradition with my family. 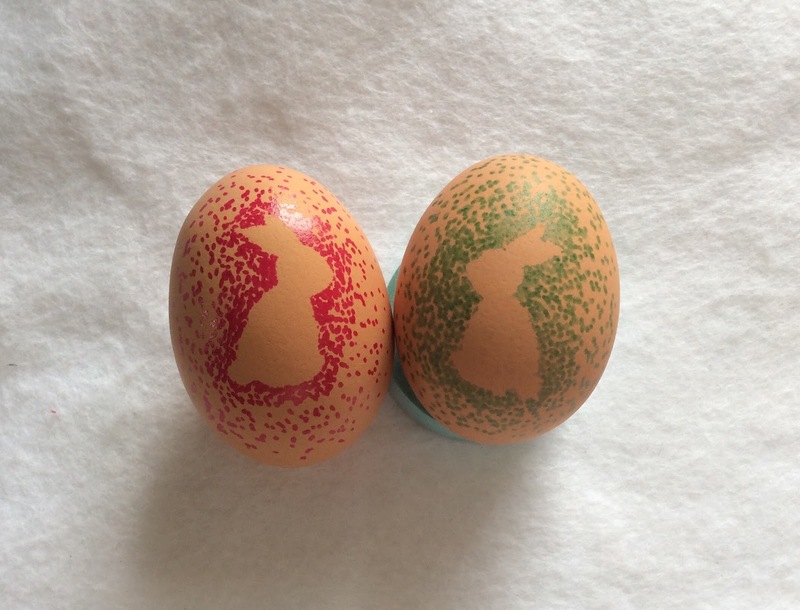 I bought some dye-egg kit last year from their Easter clearance sale. 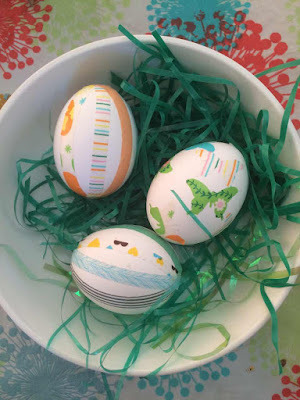 I'm just not ready for the vinegar smell and stained fingers yet so I found three fun ways to decorate eggs without using dye. Can you tell my recent obsession? It's washi tape. The thin strip one is pretty straight forward. If you don't have a thin strip in hand, you can cut the standard washi in half with a X-acto knife. I got the butterfly shape paper puncher from local Michael's. It costs around $5. If you are looking for a cheaper option, I believe The Purple Alphabet recently shared a kid's activity post in her Instagram where she showed a puncher that is from the Target Dollar Spot. No drawing technique needed. A google image stencil and dot the dots using your sharpies. This is the easiest way! The eggs turned out to be so so cute. Which no-dye method is your favorite? 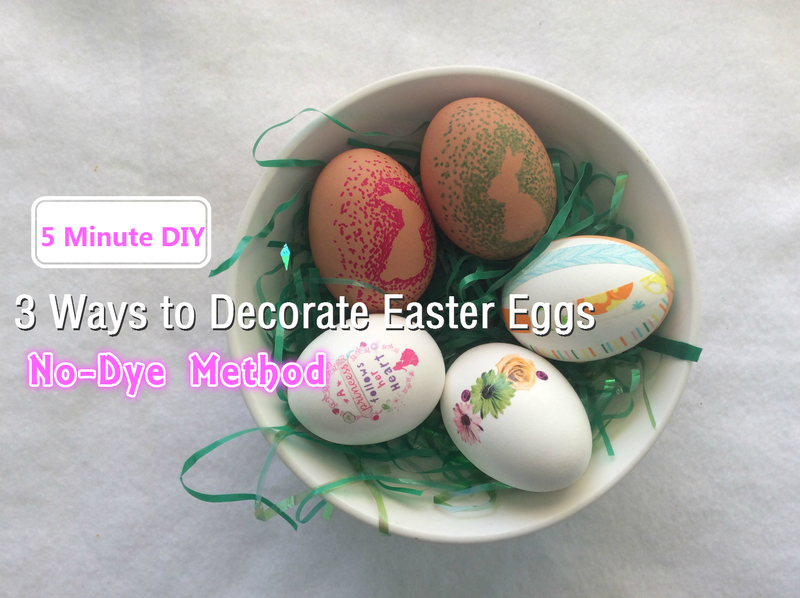 Or do you have other non-traditional ways to decorate Easter eggs? Let me know.